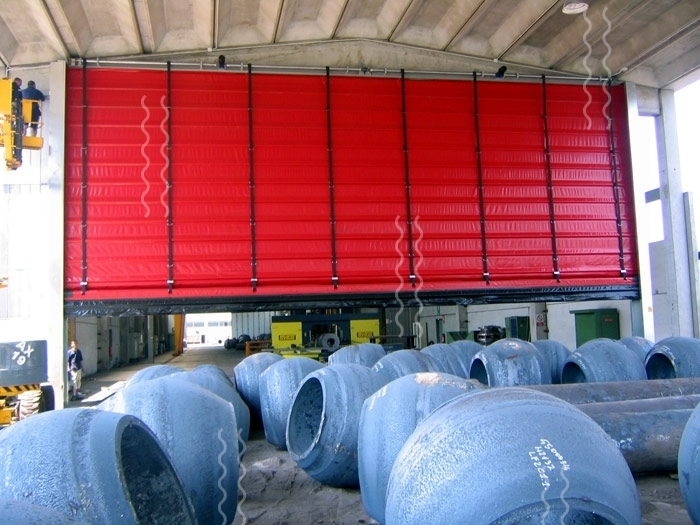 The rapid fold-up door, also known as a megadoor, is an ideal solution for quick and continual transits. 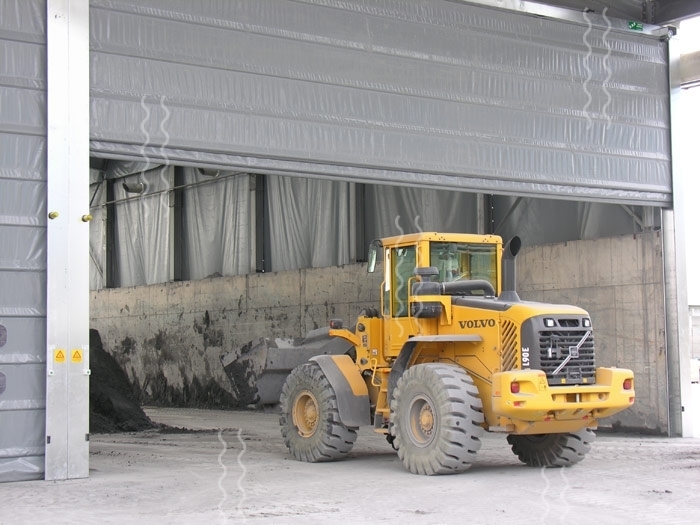 Consisting in several models, it suits all industrial sectors with a maximum standard dimension of 12000 x 7000 mm WxH. 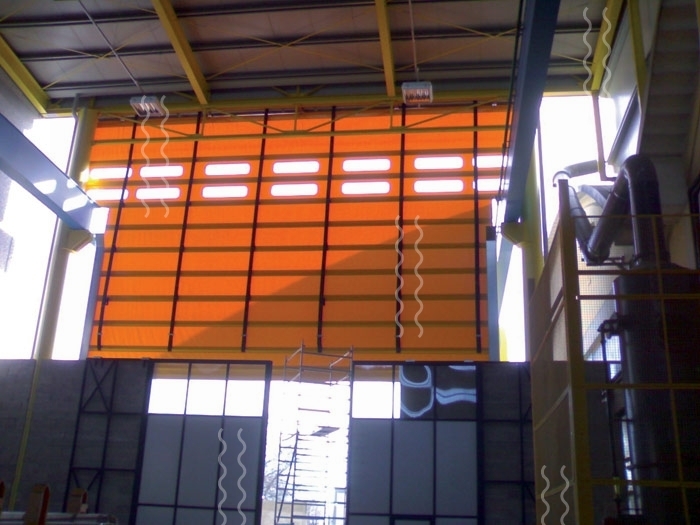 This kind of rapid doors consists of a u-shaped frame, made in galvanized steel, suited to contain the sliding of the curtain that is folded up by lifting belts which wind on a roller. 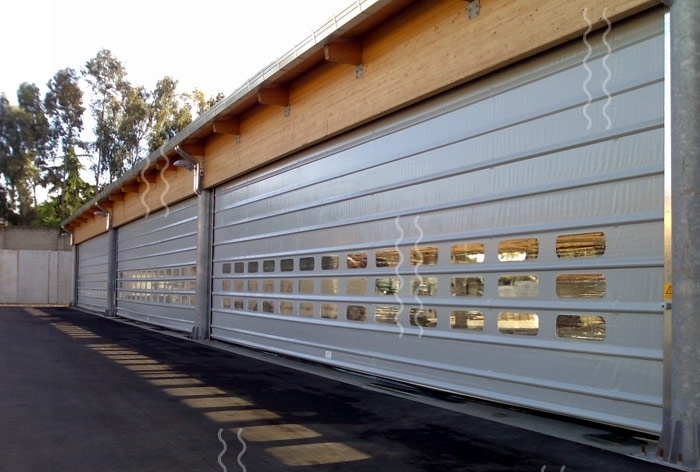 All fold-up doors are actuated by a control board (power supply 380 V three-phase) and are intended for an intensive and non-stop use. 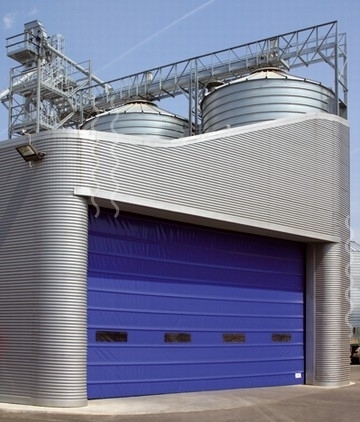 On request big-sized doors can be produced either for standard bays or for special bays crossed by cranes. 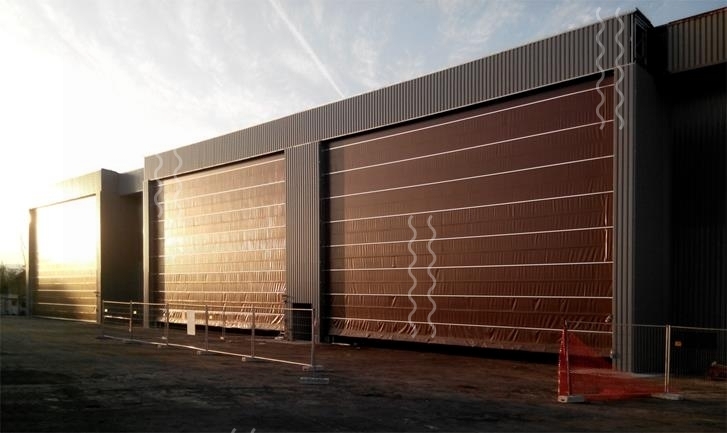 The maximum sized of the folding doors are 35 m wide and 18 m high, with a windload up to 160 km/h. 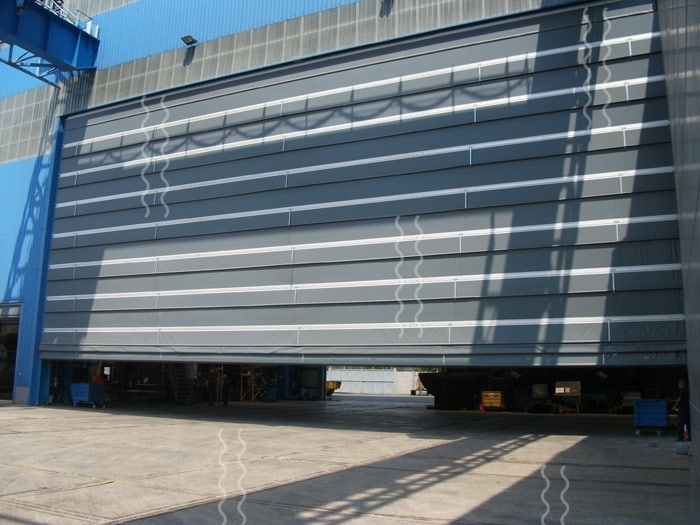 In case of big-sized doors there are aluminum frames instead of steel tubes as stiffeners and the cloth curtain is double. All our doors comply with Standard 13241/EC.